Your company or family can make a tangible difference in the community. Sponsor a Builders Care project in full or contribute to small home repairs, and see your contribution put to work. Contact Builders Care to learn more about project sponsorship. Ferguson generously donated more than $11,255 to Lee BIA Builders Care. Funds were raised through its 10th annual golf tournament held at Tiburon Golf Club on Saturday, June 15. 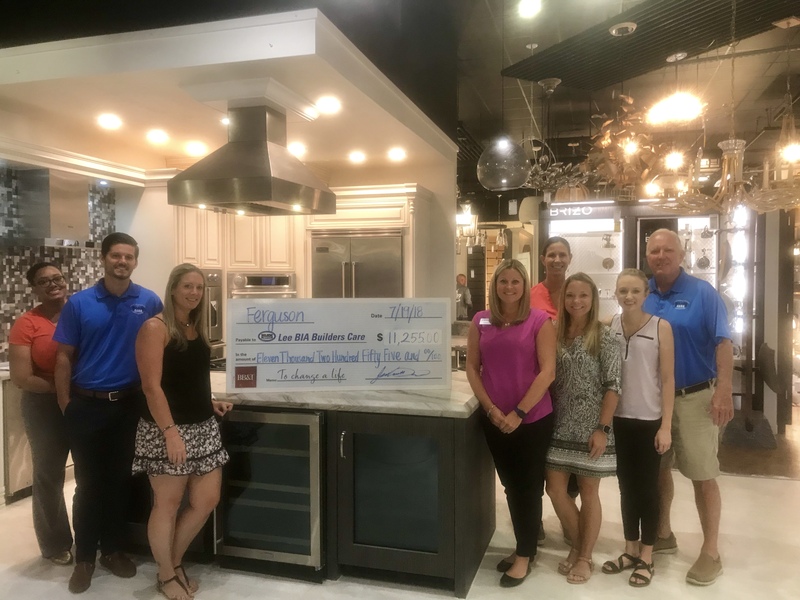 Including this year’s donation, Ferguson Enterprises has raised $80,000 to date for Lee BIA Builders Care. Ferguson Enterprises is a longtime supporter of Lee BIA Builders Care. 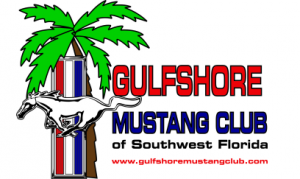 The Gulfshore Mustang Club of SWFL hosts a variety of fundraising events throughout the year to benefit Builders Care. 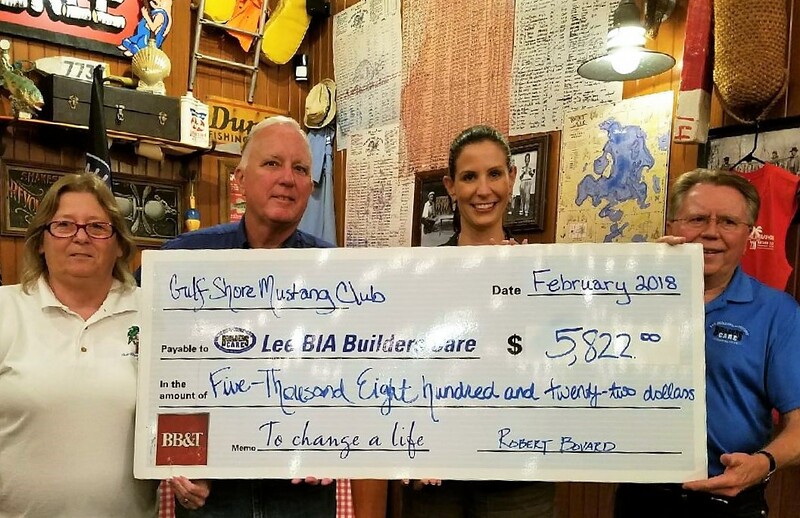 In 2018, the Gulfshore Mustang Club of Southwest Florida donated $5,822 to help the Lee BIA Builders Care! Each year, The Aubuchon Team of Companies hosts a fundraiser for local charities through its Helping Hands for the Holidays event. The 2017 holiday event raised $37,500 for 3 local charities. 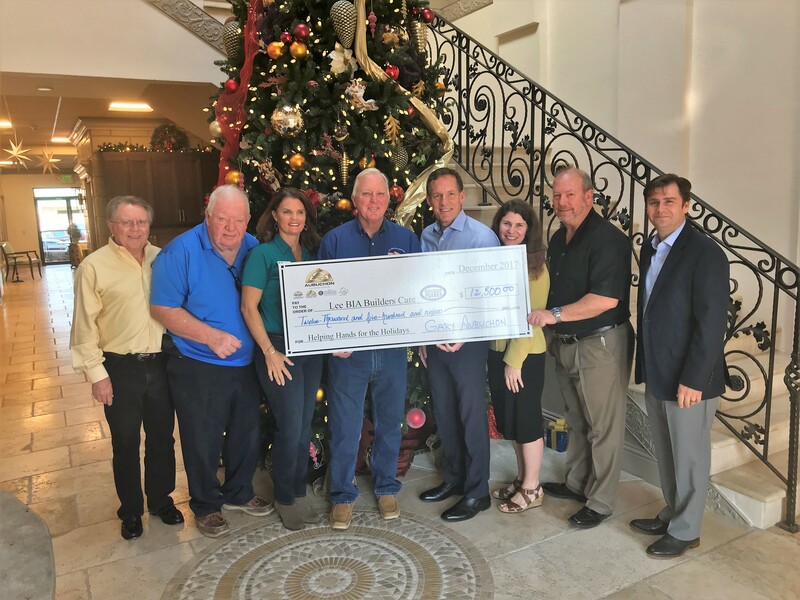 Over the past 10 years, Aubuchon Team of Company has donated over $104,000 to Lee BIA Builders Care to help support the program.